Homeschooling is something I swore I’d never do with my kids. Many of my siblings were homeschooled and I had strong (negative) opinions about it—until I had children of my own. Both my sons—one who is non-speaking and Autistic and the other who struggles with social anxiety—attended preschool for a while, but as they got older, school options narrowed. My son on the spectrum is a high-support kid and I wasn’t confident he’d get the help or engagement he needed in a public school. Plus, I had heard horror stories about kids who act out being locked in “quiet rooms” or mistreated by staff. We considered private school, but the high cost made it impossible for our family. So, my husband and I decided to try homeschool and to our surprise, we love it! Every state has different laws that regulate homeschooling practices. Some are less rigorous, while others require check-ins and testing on par with what kids in public school experience. In many states, choosing to homeschool means walking away from special needs support services provided through the schools. Homeschooling in California, for example, can get tricky. In a nutshell, if you set up a home-based private school, then your children are still entitled to the services they would receive in a public or private school. This route entails more government regulation of homeschool practices, and that’s why many parents opt to independently homeschool. If you go the independent route, you may have to seek legal help to get the support services your child would receive in a public school. In-depth research is recommended before choosing which homeschool option works for your family. Once you’ve figured out the legal side of things, talk to other parents in your area who are already homeschooling. Chatting with parents can provide direction and help you figure out what’s needed to get started. 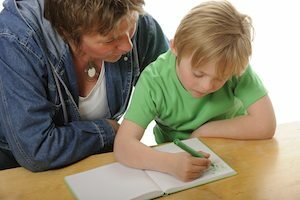 Other parents can also offer resources to enrich your homeschooling experience. Many families share curriculum, which saves money. I look at lessons on websites run by homeschoolers around the world. When planning lessons, draw upon community resources such as special exhibits and events at the San Diego Natural History Museum, Fleet Science Center and the New Children’s Museum. Join groups on Facebook and other social media sites, look for homeschool events at the library, churches or community centers. Ultimately, homeschooling is about freedom. It’s about matching education to your child’s strengths, learning style and your family’s unique needs. I know a family of homeschoolers that has nine children—five with a variety of special needs—and they have spent years traveling the world. Their children learn through walking in Paris, swimming in the Dead Sea and watching monarch butterflies in Mexico. This “world schooling” model is what works best for them and they’ve embraced it. Read about the Inion family. My family is not quite so adventurous, but we do follow our own flow. My kids wake up when they want to; we do fewer worksheets and more organic learning as questions arise; and we’re always up for a spontaneous trip to the beach or a museum. Perhaps that will change as the kids get older, but for now, we’re leaning into our days, learning together and staying open to what the world can teach us. Visit San Diego Family Magazine’s Education Directory to find local homeschool programs.